Seriously though, I have played it and played it liberally - therefore it is, by definition, playable. New option in the ME for dust and smoke...finally the date is now in the weather tab which also has a new icon with a clock and a cloud...nice!!! 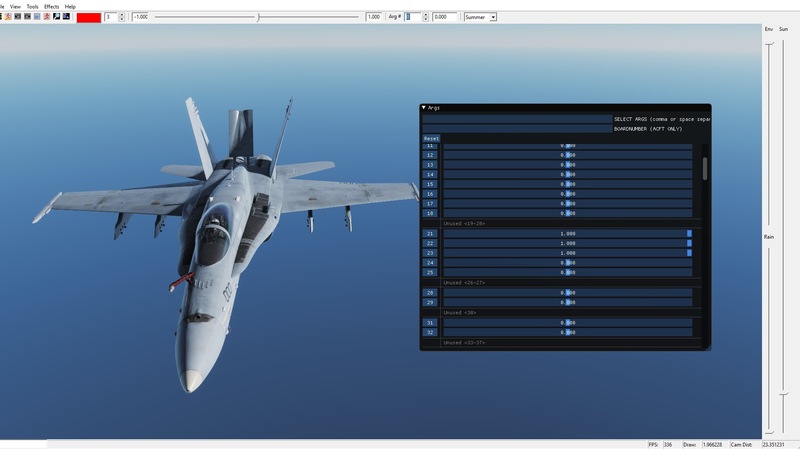 EDIT:also some over wing vapour fx are present though look very WiP yet. Last edited by watermanpc; 08-29-2018 at 04:32 PM. and "Rain droplets artifacts fixed for all cockpits": A-10A, Ka-50 etc. got the feature too ??? Last edited by NRG-Vampire; 08-29-2018 at 04:41 PM. Did the Spawn on carrier get it fix ? fbx animations: cow_wounded, cow_graze_200, mixamo@Big Body Blow, mixamo@Hip Hop Dancing, mixamo@Shoulder Rubbing, carrier_shooter_USA_LOD0, etc. Has the built in model viewer been updated?? It has the arg numbers in a pop up slider thingy..
BTW: was that the ModelViewer.exe or the ModelViewer2.exe ?? ?